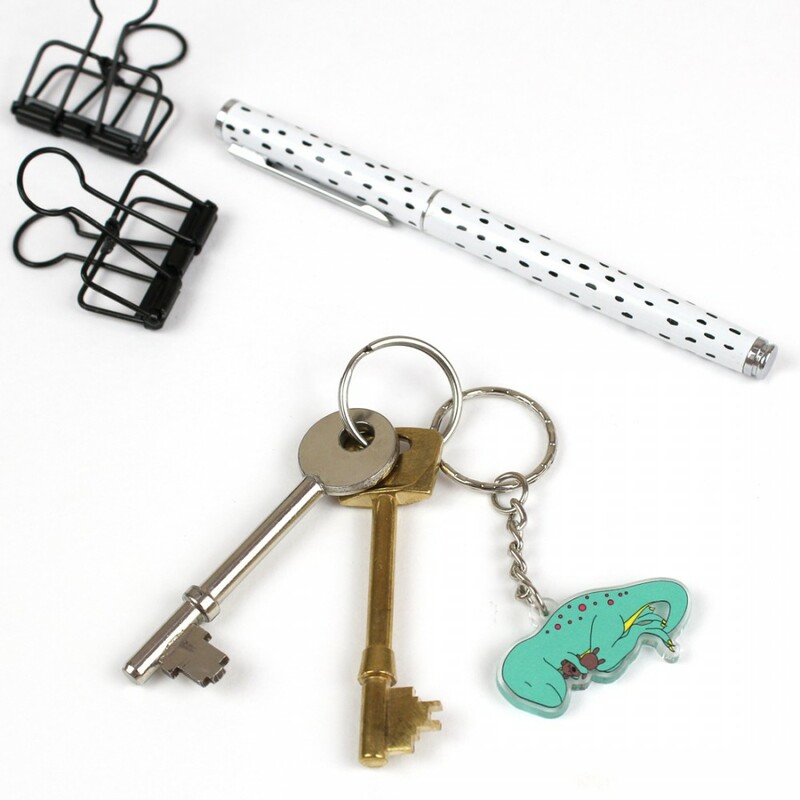 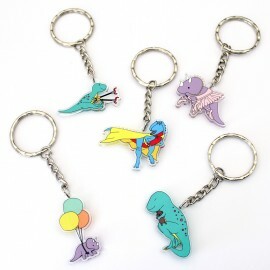 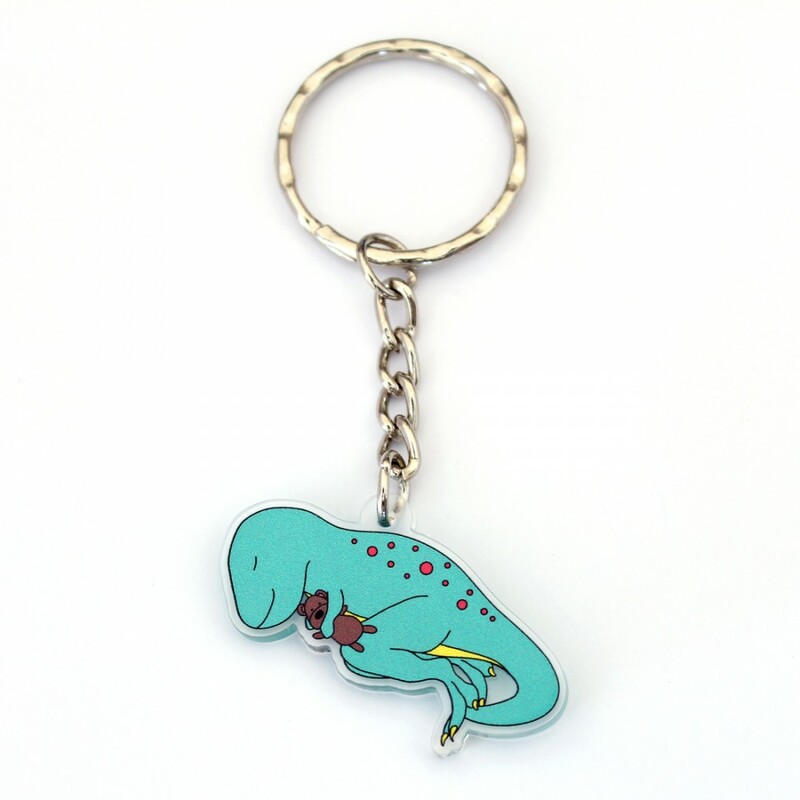 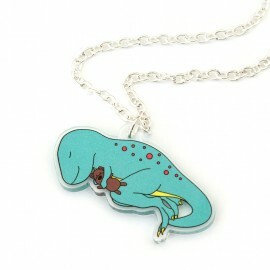 This cute dinosaur keyring will make the perfect addition to your keys. 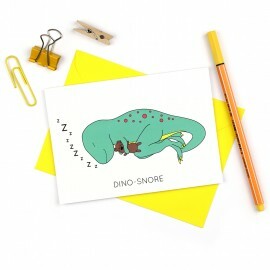 This design features a dino-snore (a green T-Rex curled up with a teddy bear having a sleep). 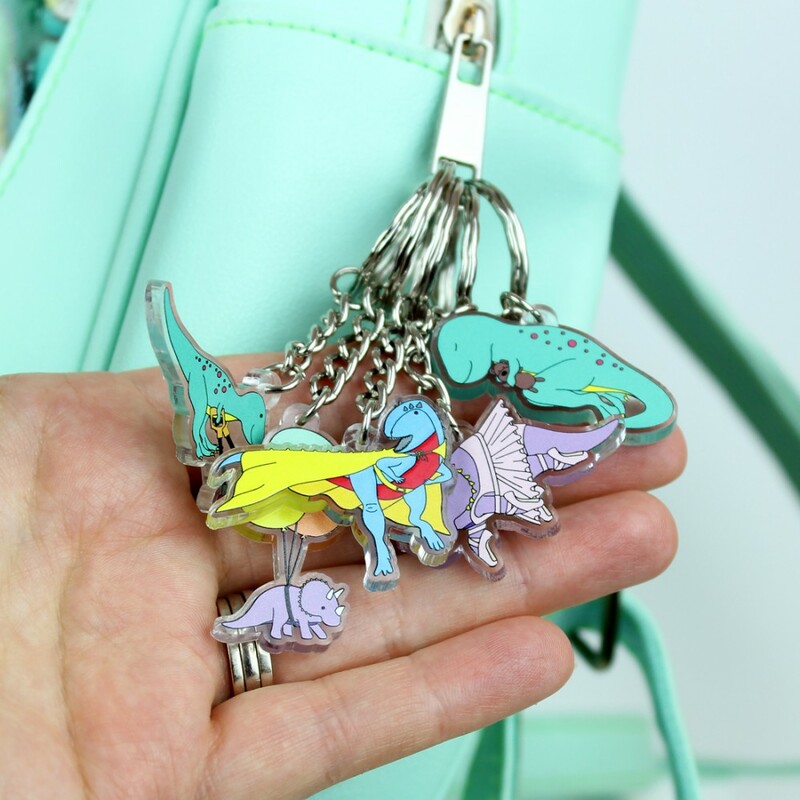 The charms are double sided and professionally printed on clear acrylic.